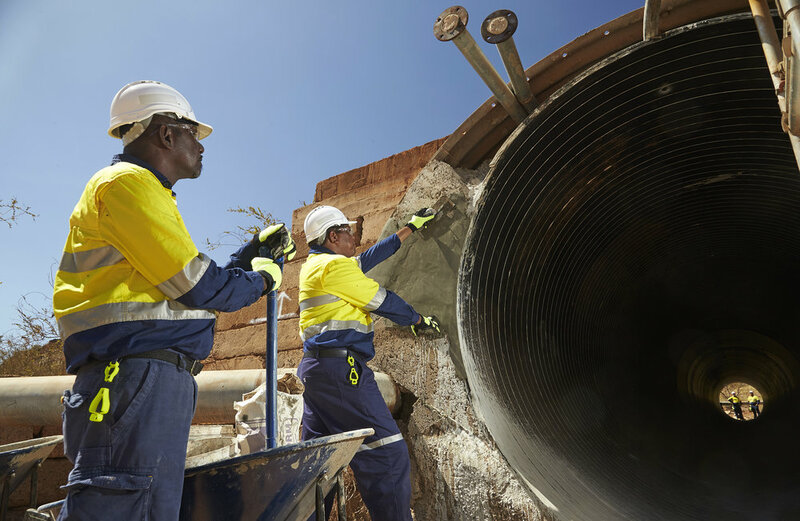 Yurra’s Civil and Rail Maintenance business has delivered a significant number of asset management projects throughout the Pilbara. Yurra is continuing to invest in our Civil / Rail capability and capacity as part of the strategic growth plans for the business. Yurra has successfully tendered culvert relining works for Rio Tinto over the past 3yrs. During this period, we have delivered over $15M worth of spray and UV lined works. Yurra along with our culvert works partner TCD have continued to invest in our solutions in order to develop safety and logistics innovations that continuously improve on our ability to provide a great quality outcome in extreme conditions and remote locations. Yurra was engaged at short notice by the Asset Management Team to rebuild the formation around a collapsed rail culvert. Yurra was able to mobilse swifty and complete the works ahead of the schedule proposed. Yurra was engaged as part of a local team of contractors to reinstate the area around a derailment. These works require fast response, organisation and planning in order to recommence operations as soon as possible. Completing these works in partnership with other local businesses speaks volumes for our ability to approach challenges professionally and safely.